Have a Question about Acupuncture? ...Visit our Ask the Acupuncturist page! Looking for Upcoming Seminars, Classes, & Open Houses? Looking to hire an acupuncturist, have space to rent, or a practice to sell? Contact us to post an ad in our classifieds. For best results include the city/state where the practice is located in the ad title and contact information within the ad copy. All ads are subjected to an editorial process. Classifieds remain posted for 30 days after which they are removed. Acupuncturist Needed in Northwest Atlanta, GA! Chiropractic office in northwest Atlanta (I-575 @ Exit #4), is looking for an acupuncturist. We need a motivated practitioner willing to market acupuncture in our area. This is also a great opportunity to work with our established chiropractic and massage patients. We have a furnished treatment room and shared reception/common areas. Naturopathic or Homeopathic degree a plus. Flexible hours Monday through Saturday each week. Must speak fluent English and meet all Georgia Medical Board licensing requirements. Serious inquiries contact 770-924-4700 or submit cv to actionchiropractic@att.net. Full-Time Acupuncture Associate Wanted in Delaware! Full or Part Time Acupuncturist Wanted in Beautiful Nyack, NY! We are a very busy and expanding practice just 20 miles north of Manhattan. Our office is a multi-treatment room clinic that is expanding and includes full-time front desk help. We serve greater Rockland, Bergen and Westchester Counties. We specialize in women's health, fertility, pediatrics, emotional wellness and integrative health but we are open to other areas of interest or specialties. For more info please visit our website at tworiversacupuncture.com. Our ideal candidate is someone with an L.Ac. and MSTOM, board certified herbalist and a doctorate in Chinese medicine is a plus. MSTOM with herbal training is a must. DACM is a plus. Is graduating or has graduated from an accredited Chinese Medicine school. Social media, people skills and self-cultivator. Send your resume and cover letter about your experience, why you feel you would be a good fit for our practice, and areas of Chinese medicine you are most interested in to info@tworiversacupuncture.com. Associate Acupuncturist Wanted in Boise, ID! Acupuncturist Wanted in Princeton, NJ! We are looking for a positive and compassionate acupuncturist to join our thriving healthcare practice in Princeton, NJ. We combine the best of Chinese medicine with holistic therapies such as massage and naturopathy at our premier wellness clinic. The ideal candidate would be a reliable and hard-working team player who is committed to offering excellent patient care. This individual must also have exemplary communication skills and bedside manner. Qualifications: 1. At least 1 year clinical experience 2. Active NJ acupuncture license and malpractice insurance 3. MSTOM/MS Ac. degree from an accredited acupuncture program Please email a cover letter and resume to mchenacu@gmail.com. Have space available for rent? Contact us! Space Available in Midtown West New York, NY! Five beautiful treatment rooms with a lot of natural light available for rent in a newly renovated full-floor Holistic Wellness Practitioner Suite for the right practitioner/s. This suite boasts new floors, a private bathroom located in-office and storage in each room. This full-floor suite is directly off the elevator and is a perfect spot for someone looking to grow their business alongside other wellness professionals. Space is move-in ready complete with new furniture and waiting room, paint, decorative touches and more. Each treatment room boasts a treatment table, window with natural light, as well as storage and beautiful finishes. Part-Time Reception services are included in all rental rates including things like greeting clients, distributing new intake forms and answering questions. Additional marketing support for things like social media, newsletter creation and management and more are available for an additional cost. Have a practice or equipment for sale? Contact us! Business Opportunity in San Diego, CA! Are you a recent graduate or already have a practice and want to expand? We have the perfect setting for you. We have done all the hard work to make the practice profitable and ready to expand to a second location or bring your own ideas to turn it into the perfect practice for you. Currently there are two treatment rooms available on Mondays, Wednesday, Fridays and Saturdays. This is a turn key business with great potential for expansion. It is currently a cash only practice with a membership based clientele and one acupuncturist employee. We have a very strong internet presence and an awesome rating on Yelp and Google. 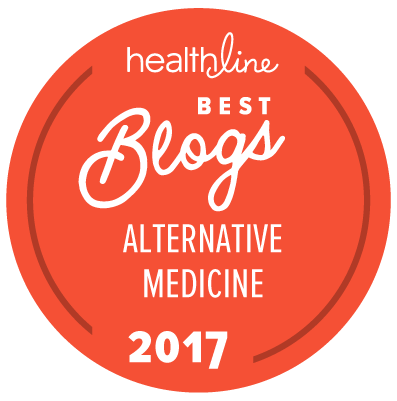 We won second place on Expertise.com for “Best Acupuncture in San Diego” for 2018 and 2019. We have an average of eight or more new patients per month with little to no paid advertising. We are located in Mission Valley with almost two years remaining on the lease. Some expenses are shared with other alternative care professionals making this a very sweet deal. Asking price only $60k, OBO. For serious inquiries only, please email Natalie at nmeehan91@gmail.com. Acupuncture Practice For Sale in Beautiful Sheridan, WY! Well-established acupuncture practice on the western side of the Big Horn Mountain range, Powder River Acupuncture has been serving Sheridan County since 2006. Sheridan County has a population of approximately 29,000 people. We also attract patients from neighboring Johnson County, population 8,500, as well as from southern Montana. There are 2 other licensed acupuncturists in the area. We have been continuously located in the attractive historical Old Post Office Building in downtown Sheridan. The office has two spacious treatment rooms and a sizeable reception room, with close access to bathrooms and a laundry room down the hall. We have earned a reputation for excellent patient care and, as a result, we have a loyal patient base. That patient base will transfer to the new owner, giving you an opportunity to step into a fully functioning clinic at a price that is well below one year’s disposable income – and give you the foundation to grow the practice further. Stable cash-based income with a four-day work week producing an exciting upswing in 2018 and into 2019, as more and more of the public are seeking acupuncture and the other modalities we offer. This practice’s income for 2018 and the first three months of 2019 has produced $69,915 acupuncture and $7,764 herbal therapy = $77,679. Its expenses have been $16,551 – which is 21% of the gross income -- therefore considered a practice with less-than-average expense load. The valuation of this practice is $38,941 and asking price is $28,500 for turn-key purchase including: patient files (91 new patients in the last eighteen months); website; phone number; option to continue location at present rented office ($529/month, which includes all utilities but internet/phone); acupuncture supplies and assortment of patent medicines; some office and treatment room furnishings. If you wish to provide your own furnishings and equipment, asking price is $25,000. Buyer is responsible for financing. We would be glad to assist the new owner during the transition. For more information, please email pra@actaccess.net and we can set up phone and on-site visits. I am moving in 2019 and really need to provide a practitioner for my community! Thank you! Turn-key Acupuncture Practice in Medical Arts Bldg., Penticton, British Columbia for Sale! If you would like to be semi-retired or are starting out, want to earn an income right away, and live in the Okanagan, one of the most beautiful parts of Canada, where you can snow board and paddle in the same day, enjoying the advantages of a vibrant small city nestled between mountains and next to Okanagan Lake, this is the practice for you! I have earned a reputation for excellent patient care and, as a result, have a loyal patient base. I have developed a great cross-referral network, and enjoy referrals from MDs. Dovetail your own specialties into this clinic and grow the practice. My practice is for sale and will be sold in 2019. Included: patient files; website; phone number; option to continue location at present rented clinic in a Medical Arts Building; acupuncture supplies; office and treatment room furnishings. I will mentor you and do everything possible to ensure a smooth, successful transition. Get in touch by email at jgstrong@shaw.ca. so I can answer all your questions. Community Acupuncture Practice For Sale in Rochester, MN! Long-time practitioner looking towards retirement.Turn-key established clinic available for single or pair to continue & build. Great price for great fit L.Ac.. Serious inquiries contact Deah at 507-990-3299. Practice for Sale in Farmington Hills, MI! Own an acupuncture and herb practice with over 25 years in a great location. Professional facility and accumulation of large numbers of patients, currently a two day a week practice annual $60,000, selling the business for retirement. contact Roy at (248)605-5444. Practice For Sale in Plymouth, MI! Well established, great reputation, hundreds of patients. Sale includes all patient records and furnishings including desks, massage tables, comfortable waiting room chairs, and numerous lamps. The doctor is moving her practice in a different direction, so she is selling. This is everything you need to set up practice! MORA testing equipment available as well for an additional $40,000. Location may or may not be available. Serious inquiries contact 7directionsforsale@gmail.com or 734-414-7669. California Practice For Sale Serving Arroyo Grande and the Five Cities! Step into a well established, thriving practice, right out of acupuncture school. You have given years of your life to learning the amazing field of acupuncture and health & wellness. How many more are you willing to give towards getting your practice started? What if you could start with a practice right in the heart of the central coast in a beautiful, well known, and highly desired location. What if you are already a practicing acupuncturist who would like to practice in one on the most beautiful areas in the country? How hard would it be to start over? Do you want to go through that again? Our practice has been serving the Village of Arroyo Grande and the Five Cities for over 18 years. We are well known, and what is more important, well liked in this area. This is a turn key business with a full book of clients. The nice thing is, there is also room for growth. Our office has two amazing treatment rooms, a large lobby, and area for another treatment room or group activities. We have two Massage Therapists on staff, and local guest yoga and pilate instructors that regularly bring in groups for classes. Right now, I’m sure you’re excited but tired. You have the choice of building on the momentum of a currently thriving practice or starting a business from scratch. Buying an already established clinic will put you years ahead in your professional development. Let’s face it, patient numbers matter. Starting on your own, you can become a good acupuncturist by beginning with a few patients and building slowly. Or you can become an exceptional acupuncturist by getting started with a full schedule and putting your focus on your skills, and not on being an ad agent. Lifeline for the first year: Problem solving, with previous owner to get through known or unknown challenges to help make your new business run smoothly. All for only $65,000! You owe it to yourself to check out Arroyo Grande Acupuncture and see if it’s a good fit for your future. Your new business is waiting; do you want to end the year with good intentions? Or a paycheck? Serious inquiries contact Anthony Faught at Healthcravz@yahoo.com or 1(805)602-2888. Sole Proprietorship Acupuncture and Herbal Health Clinic for Sale! Are you an experienced practitioner who enjoys bringing the medicine to ongoing and new patients? Are you a newer practitioner who would like mentoring by a proven and respected practitioner? Start earning an income from Day One. Enjoy a healthy living environment in a progressive arts community with year-round activities and higher than average incomes. Dovetail your own specialties into this TCM-plus-microsystems based clinic and see the resulting increase in patient numbers. More and more community members are actively seeking to integrate our specialty into their medical and health care. You can make a difference in individuals’ lives and enjoy the lifestyle while doing so. My 13-year clinic is for sale and will be sold in 2019. 2018 gross income – all cash – for acupuncture and herbal therapy was $61,145. Asking price is $31,500 for turnkey and $28,000 if you provide your own equipment and supplies. You must provide your own financing. Write to me at my email – pra@actaccess.net – for further information and to set up phone and on-site visits. Central California Acupuncture Practice For Sale!